While the Transatlantic cooperation follows rather a frosting path – while president Trump manages the White House – many suggest that the growing independence of the European Union on the global sphere may open new doors in security, economy and other fields of possible partnerships. But can Russia be the one amongst those partners? Will Europe be able to modernize its post-Cold War ties with Moscow and pursue “strategic relations”, as number of leaders, including Emmanuel Macron proposes? Moscow and Brussels have much to talk about – Russia´s pursuing influence over several countries within the bloc as well as outside of it, particularly in Western Balkan, chafes pro-Western politicians; its indistinct action including operatives and intelligence officers rises eyebrows; its significance in the Middle East ensures the undoubtful weight in international diplomacy; yet its shaded actions not only in Ukraine (including the cases of Ukrainian filmmaker and writer Oleg Sentsov) but also home (i.e. the case of Russian-Canadian artist and activist Pyotr Verzilov) halts proceedings in a number of spheres. Are the sanctions and their automatic prolongation the answer? 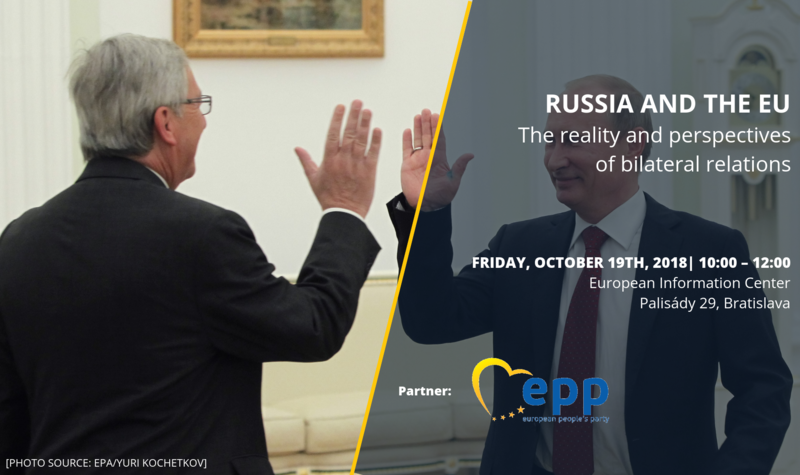 On matters such as cybersecurity, defense, or strategic relationships, could Brussels envisage the outlines of a new relationship between Russia and the EU? What elements on both sides could bring this relationship up to date?